Temperatures have been hot, but fall is on the way. But as the evenings cool down outside, this doesn't mean you can no longer enjoy your outdoor living area. As a matter of fact, fall evenings can be even more enjoyable with just a little help from good quality outdoor fire pits that provide just the right amount of warmth on cool nights. High quality outdoor fire pits in North Attleboro, MA are a great addition to your patio area, perfect for maximizing time spent with family and friends in your outdoor living space before freezing temperatures really kick in. Fire pits can provide the warmth you need to make your environment cozy. High quality outdoor fire pits are better than those sold in big box stores. Why replace your fire pit every season? A well-made heavy-duty and attractive fire pit can finish your outdoor space with just the right touch. High quality outdoor fire pits also provide the perfect outdoor lighting to add ambiance to any space. They add a romantic effect, a festive atmosphere, and a relaxing shimmer to any outdoor evening. For the perfect ambiance that your family and friends will enjoy this fall, contact The Fireplace Showcase for more information on outdoor wood fire pits. Heat & Glo Gas Fireplaces Are On Sale Now! Preparing now for the colder months is never a bad idea. In fact, right now you can save more on heating before the colder weather arrives, with no wait for installation. If you are one of those homeowners who has a dreaded utility bill perhaps it's time to consider addressing your open masonry fireplace and supplementing your heating system. Heat & Glo gas fireplaces are on sale right now and you can save up to $500. Whether you opt for a new gas fireplace or gas fireplace insert, you can find the right style for your home and your lifestyle. No one builds a better fire than Heat & Glo. These fireplaces and inserts are energy efficient and are also offered in more modern designs. They also offer a hands-free heat regulation system and advanced safe technology for more convenience and perfect ambiance. Take advantage with this limited offer. This hot cash for cold days sale runs through September 24th. And, when you buy now, you wait less for installation. Contact The Fireplace Showcase for more information on qualifying gas fireplaces and gas fireplace inserts. In a few more weeks fall weather will arrive. Now is the time to be preparing for the colder days before it really kicks in. If you think your old heating system is no longer reliable, are tired of paying high heating bills, if you just want something more attractive, or you want better heating in one room of your home then perhaps it's time to look for new fireplace, stove or fireplace insert. We have good news for those who wants to better prepare their homes in early fall. 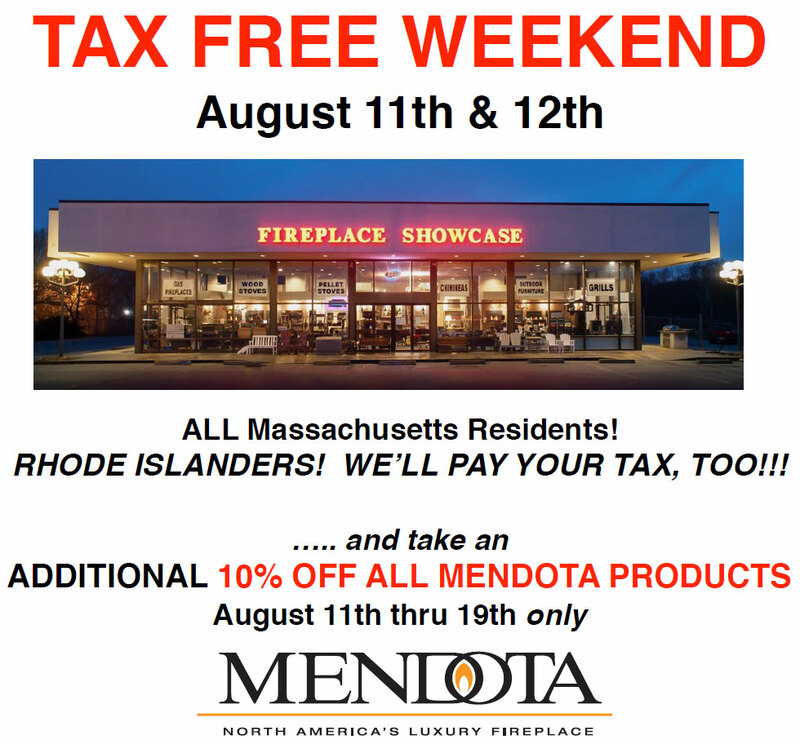 The Fireplace Showcase is offering great deals on Heat & Glo products. Right now you can save up to $500 on qualifying fireplaces, gas stoves or gas fireplace inserts. Heat & Glo products offer the best energy efficient heating systems with a beautiful, modernized aesthetic appeal. These fireplaces, inserts and stoves offer remote controls that make them the best option for ambiance, heating, and convenience. Act now and take advantage of stove, fireplace and insert sale from August 27th through September 24th. Contact The Fireplace Showcase for more details. Outdoor gas or wood fire pits can bring families and friends together even with no occasion. With an outdoor fire pit you can enjoy your backyard for longer into the cooler weather. Host backyard gatherings or just sit and relax in the outdoors at night. If you want to enjoy your backyard this fall, a fire pit can help heat things up. Choose a wood burning fire pit so you can enjoy the sounds and smell of a real fire. A gas fire pit table offers more convenience while still showcasing a large, natural looking fire. With so many options in gas and wood burning fire pits from which to choose, you can have magnificent beauty and functionality for entertaining family or guests while enjoying more time in your yard. Contact The Fireplace Showcase for more information on the best style fire pit for your lifestyle. Natural Characteristic - Cedar wood has a natural tangy odor that is effective in repelling insects. It also secretes an essential oil that protects from decay which makes it durable even when exposed to harsh environments. Solid and Sturdy - Cedar outdoor furniture is solid to hold up outside despite severe weather. Stays Cool - Within the grain of the wood, there are microscopic air pockets that serve as a temperature regulator. Even when exposed to the heat, cedar furniture remains comfortable. You will appreciate cedar outdoor chairs and tables more during summer when the temperatures are hot. Affordable with Low Upkeep - Cedar patio furniture is reasonably priced and it only requires minimal maintenance. This makes it very practical lawn furniture. It remains attractive without much upkeep. Whether you are looking for patio furniture, garden swings, or dining sets, cedar is the perfect material for outdoor use. With all the features of cedar wood, it is incomparable to other materials. Contact The Fireplace Showcase to find out more about cedar wood furniture. Wood Pellet Sale: Don't Get Caught in the Cold This Winter! 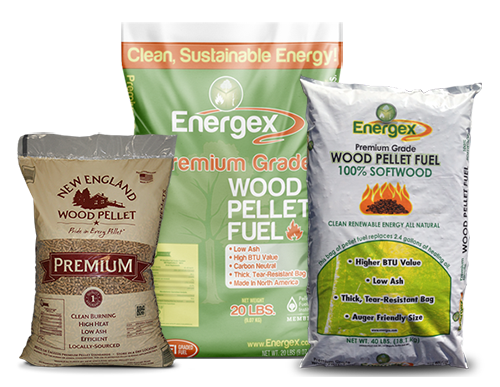 We know it's hot, but don't forget to buy your wood pellets for this coming winter. Remember last March? Too many folks thought winter was over and then...cold snap! Now is the time to order you wood pellets so you're not left out in the cold. With the shortage of truck drivers, new logging requirements, and increasing transportation costs there is a real advantage to buying good quality pellets that are stored inside right now. 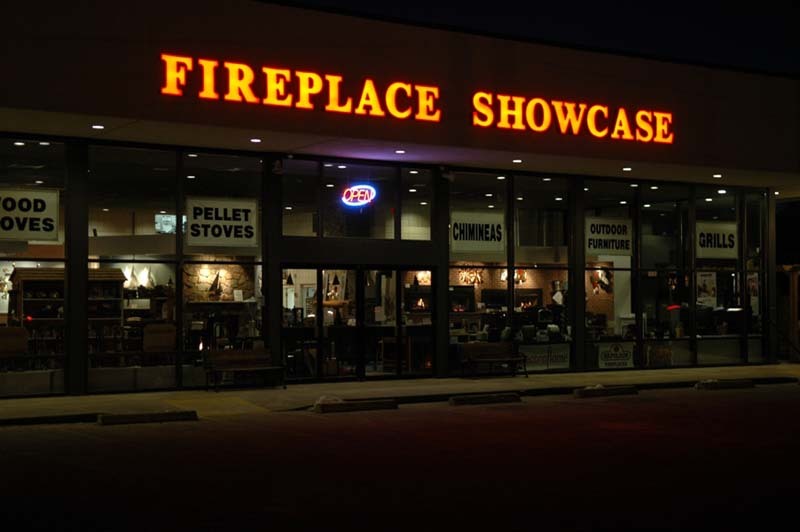 At The Fireplace Showcase save $10/ton for a 2+ ton purchase. And, for a flat $65 fee we'll deliver 1 to 6 skids of wood pellets to your home starting August 1st! We currently have wood pellets in stock and they are all stored indoors. Our pellet offerings are based on customer reviews and industry feedback. In fact, we personally burn and test all the pellets we sell. Buying pellets from the big box stores is like playing roulette, inferior quality pellets don't really save you money. You'll burn more and get less heat. When you buy good quality pellets, you are buying BTUs and quality from known manufacturers. We offer hardwood, softwood, and blended products that allow you decide which burns best in your stove. Ask us what your neighbors are telling us about their stoves and what they're burning. We hear feedback daily and are happy to share the information. You can try our different products to see what works best for you. While you’re at it, another way to avoid the rush is to have your pellet stove serviced now. Don’t get caught in the cold this year. For more information, contact The Fireplace Showcase. Your patio won't be complete without a beautiful outdoor furniture set. But there many considerations when buying furniture for your outdoor space. Durability and aesthetics need to be two of the prime factors when buying lawn furniture. No more aluminum, ratan, or other materials that easily deteriorate overtime. Cedar solid wood furniture is an excellent choice. Where outdoor furniture is concerned, nothing beats the quality and beauty of cedar wood. Cedar furniture in Cumberland, RI offers superb durability and resistance to insect damage. This solid wood won't decay even when exposed to harsh weather. In fact, it weathers beautifully and only becomes more attractive overtime. Solid wood patio sets, garden benches, adirondak chairs and other outdoor furniture lends a sophisticated ambiance to your yard. Another advantage to cedar furniture is its low cost of upkeep. If you are considering a new patio set or a couple of new Adirondack Chairs, consider rustic natural cedar furniture. It weather's well, is attractive, comfortable and easy to maintain. Outdoor living is about relaxing. Why not get furniture that makes relaxing easy. Contact The Fireplace Showcase to learn more about cedar wood furniture. Kids needs physical, outdoor, and imaginative play. Unlimited access to electronic gadgets stifles creativity and social skills. But, it's not too late to divert their attention and entice kids to play outdoors. Providing them with kid-wise swing sets will not only give them a safe playground for physical activity but also a venue where they can enhance their mental skills. Children's outdoor swing sets in Providence, RI have various accessories that can challenge them to use their imagination while encouraging movement and exercises to enhance strength and flexibility. There are many accessory options which include house decks, spiral slides, rock walls, monkey bars, sandboxes, swings, and gliders. Create a pirate ship, a castle or a tree fort. These swing sets are made entirely from cedar which is rot and insect resistant. State of the art bolt and fastening systems ensure a strong foundation for safety and for making installation a breeze. Kids will have the whole neighborhood over to play on their children's outdoor swing sets. This helps improve self-esteem and enhances their social skills. These wooden swing sets offer many benefits for your the growth and development of children. Contact The Fireplace Showcase to provide your children with a safe and healthy place to play. We are currently hiring for a full time warehouse position in Seekonk, MA. The job entails (but is not limited to) picking and receiving truck orders, maintaining the warehouse, and loading of products for customers. Hours for this position are 9AM-6PM Tues-Fri and 8:30AM-5PM on Saturdays. We offer health and dental benefits as well as 401K. Why Clean Your Chimney in the Spring?